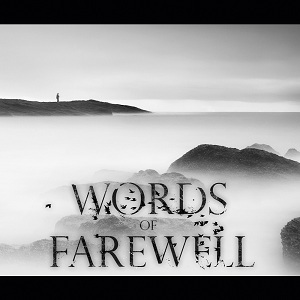 German Progressive Death Metal band, Words of Farewell was founded by lead guitarists Erik Gaßmus and Phillipp Olivier in 2007. The line-up was then completed by Nils Urginus (rhythm guitar), Leo Wichmann (synthesizer), Benedikt Goralski (drums) and Alexander Otto (vocals/bass guitar). Since then the band has released two EPs and had a number of lineup changes. In 2010 the band recorded their debut album, Immersion, which is now finally ready for release. The vocals are the standard growling style, but unlike many progressive or melodic death metal bands they've chosen not to have any clean vocals to contrast with the growls. whether you think this is a good idea or not comes down to personal taste really - some people love the growling vocals some prefer clean vocals. For me they work well on this album. Musically its good and heavy, with enough variation to provide interest and enough melody to make it enjoyable. A very good debut album - I look forward to hearing more from the band in the future.